Advertorial: Christmas Display Open. Friday, 19th October, 6pm-late. 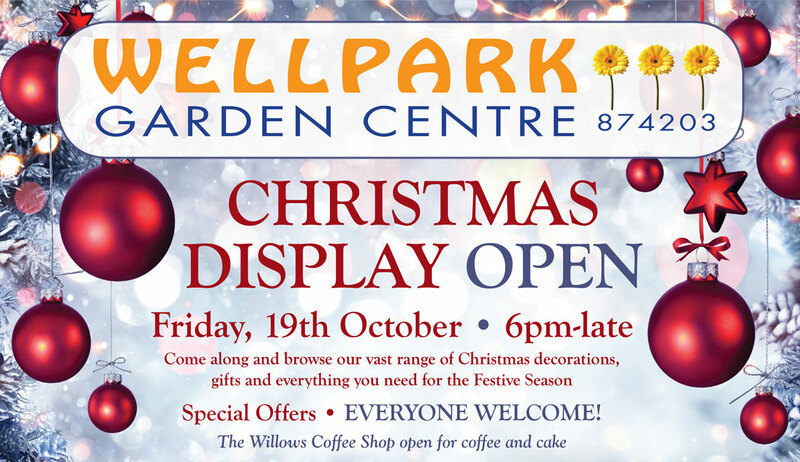 Come along and browse our cast range of Christmas decorations, gifts and everything you need for the Festive Season. Special Offers – Everyone Welcome! The Willows Coffee shop open for coffee and cake.